On May 29, 1996, the United Farm Workers of America reached agreement with Bruce Church Inc. on a contract for 450 lettuce harvesters, ending a 17-year-long boycott. 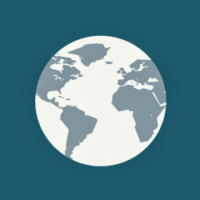 The pact raised wages, provided company-paid health benefits to workers and their families, created a seniority system to deal with seasonal layoffs and recalls, and established a pesticide monitoring system. To this day, the UFW continues the fight against harmful pesticides. Other key issues for the UFW include the fight against heat related death and illness, and the new immigration process that will affect a million agricultural workers and their families. Photo: Coretta Scott King and Cesar Chavez, 1973. 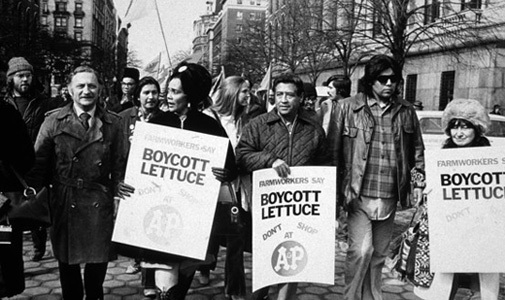 United Farm Workers and the Lettuce Boycott.